I knew the Subie wouldn’t make it through the deep ruts that formed over the last several days of thaw, and so I set off on foot for the post office…uphill, downhill, uphill again…through that sleeting, slushy snow. For a moment, I wished I’d had my camera, forgetting how sadly broken it is, but then scratched the thought. This was a walk I wanted etched in my memory. I breathed deeply, enjoyed the task of warming my body through movement whilst icy bits of snow blew against my face. 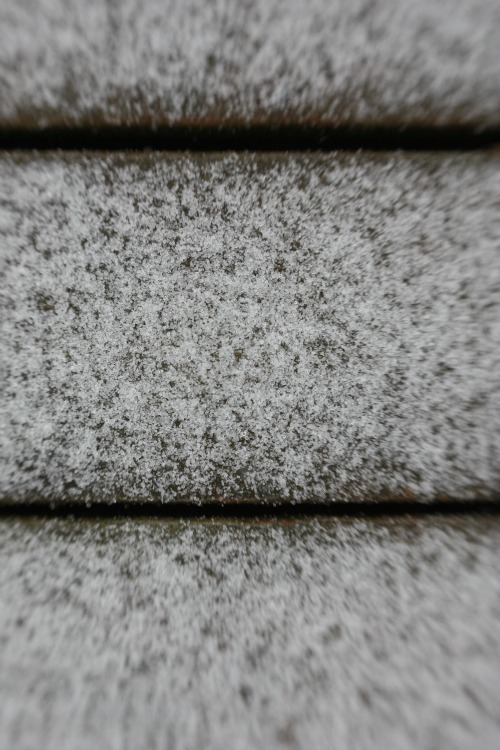 I listened to the crunch, crunch under my boots and stopped every once in a while, with eyes closed, to absorb the quiet…only the sound of the snow falling…firm little pellets pitter pattering like a gentle rain on a roof. Eventually, I came to the spot in the road where yesterday a kind soul with a Very Big Chain pulled car and I out of the muck we’d bottomed out in. 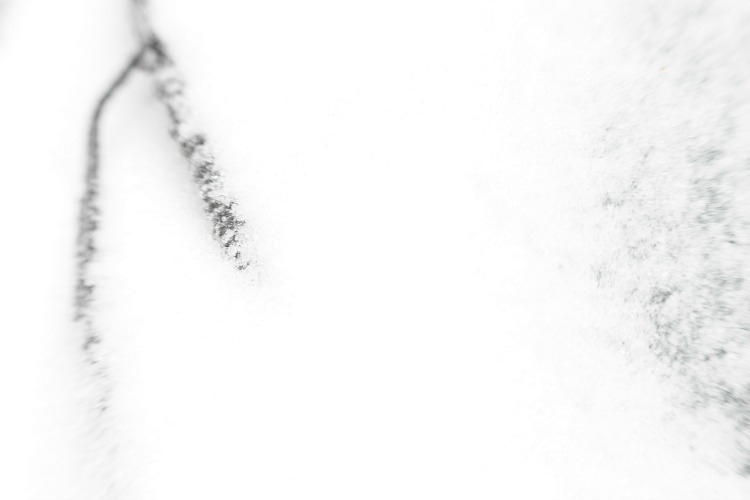 It was squishy squoshy chocolate-y mud then…now the layering snow had crusted it up, producing an Arctic, Post-Apocalyptic landscape of deep, snow-crunchy ruts that looked like cracks in the earth. 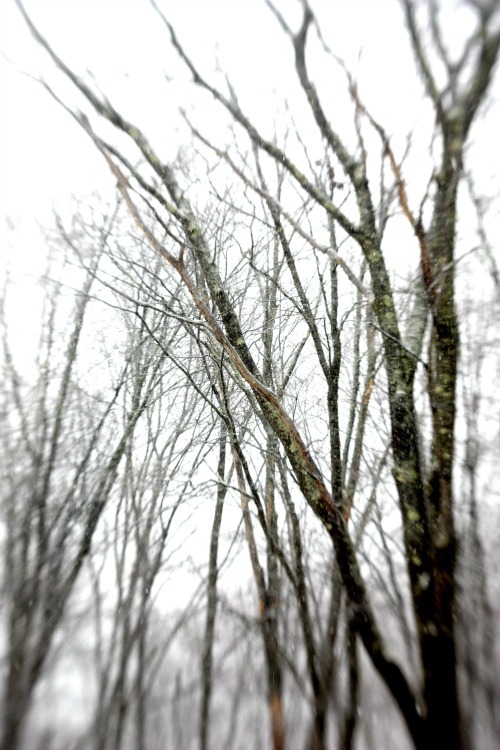 So, so still and quiet, but for the swirling sleet, coating my glasses and melting on my wooly hat. A little over a mile to the post office…greeted with a familiar smile and some friendly conversation…with a pang, I felt how much I will miss that simple ritual. I will even miss the chilly walk back, having been soaked all through from thawing out at the PO. And I will miss the Winter. The deep, the dark, the biting cold, the frozen landscape, the intense appreciation I feel when the whole of my world turns green and sparkles with life when the Spring finally springs. Two more months until I say goodbye to New England. I will leave a piece of my heart here, good friends, and some of the most difficult challenges of my life. I will take with me some beautiful memories and a whole lot of hope for starting over in the homeland.